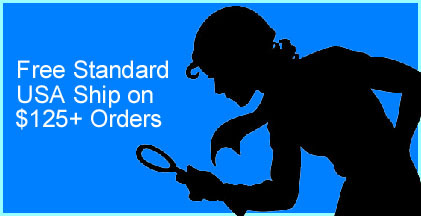 A Sleuth just isn't a Sleuth without a little mysterious gear! 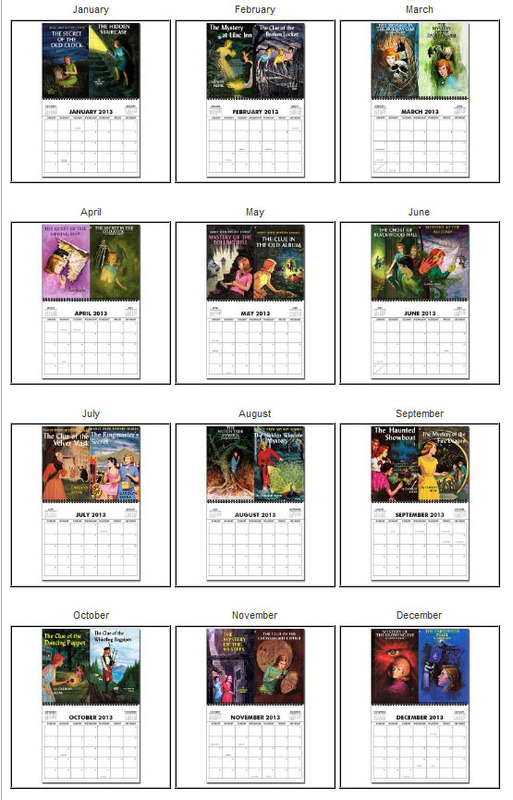 Below you'll find stationery featuring Nancy Drew book cover and internal illustrations and links to our Nancy Drew calendars. 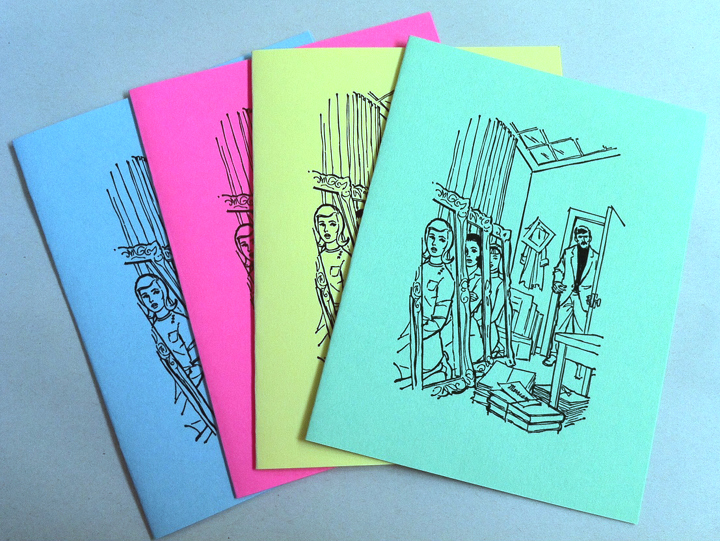 Nancy Drew Note Cards come in a set of 4 with white envelopes. Size: 5 1/2" wide x 4 1/4" tall. Blank inside. 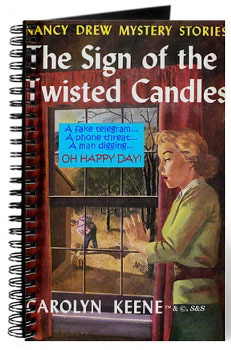 Printed in color--features 4 Nancy Drew covers along with humorous slogans like "A fake telegram...A phone threat...A man digging... Oh Happy Day!" 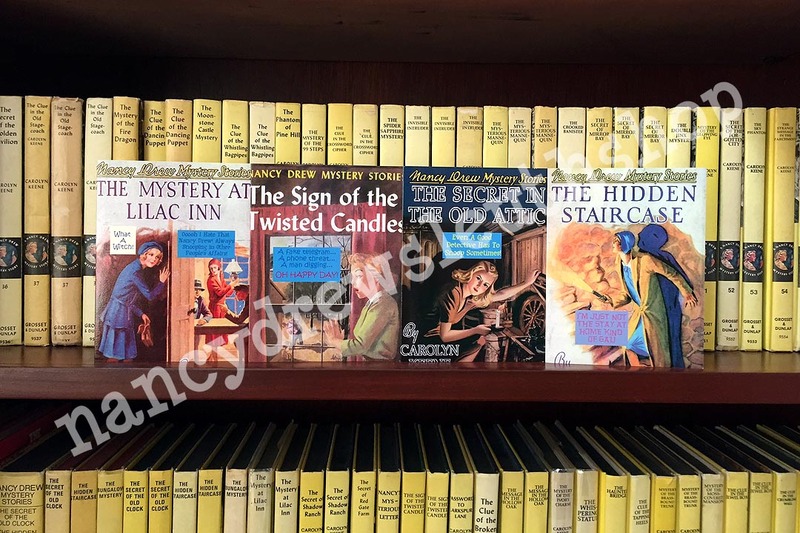 "Nancy Drew Sleuth Shop" watermark on the photo is not on the actual cards! 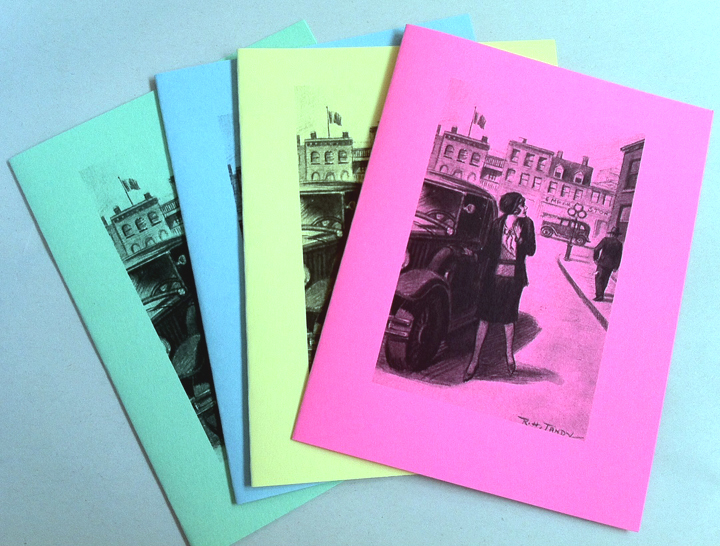 Nancy Drew Note Cards come in a set of 4 with white envelopes. Size: 5 1/2" wide x 4 1/4" tall. Blank inside. 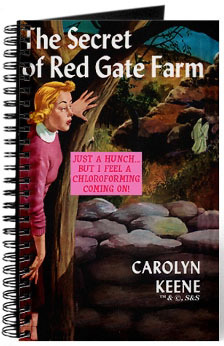 Printed in color--features 4 Nancy Drew covers along with humorous slogans like "Just a hunch...But I feel a chloroforming coming on!" 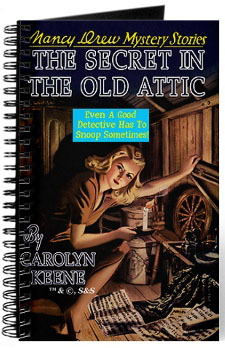 "Nancy Drew Sleuth Shop" watermark on the photo is not on the actual cards! 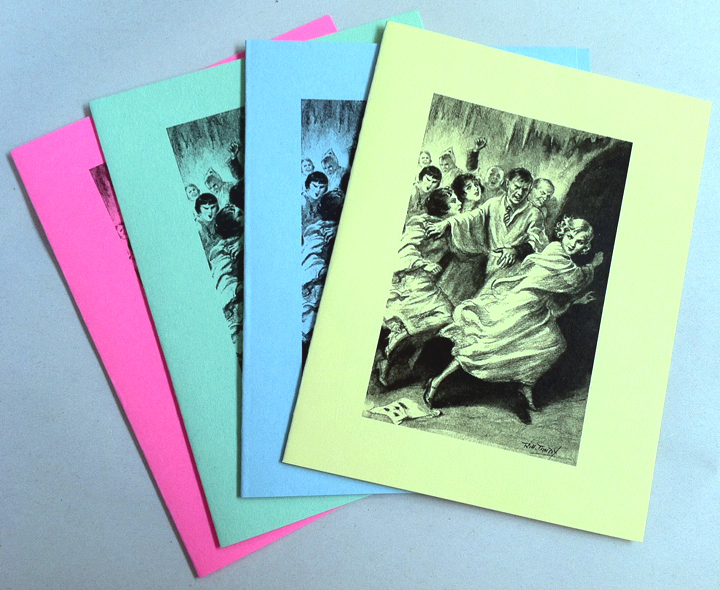 Nancy Drew Note Cards come in a set of 4 with white envelopes. Size: 5 1/2" wide x 4 1/4" tall. Blank inside. 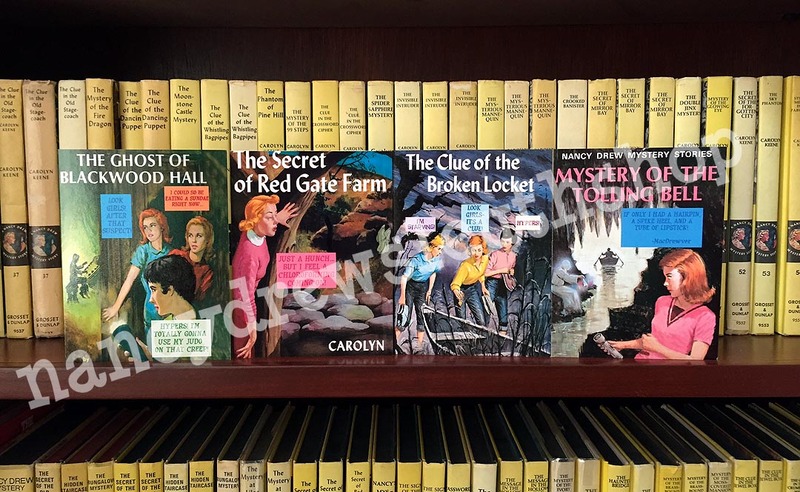 Printed in color--features 4 Russell H. Tandy cover images of Nancy Drew from The Secret of the Old Clock, The Hidden Staircase, The Secret at Shadow Ranch, and The Sign of the Twisted Candles. 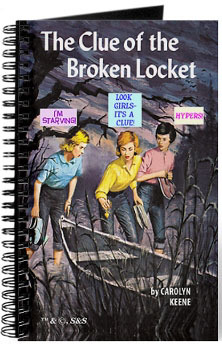 "Nancy Drew" watermark on the photo is not on the actual cards! 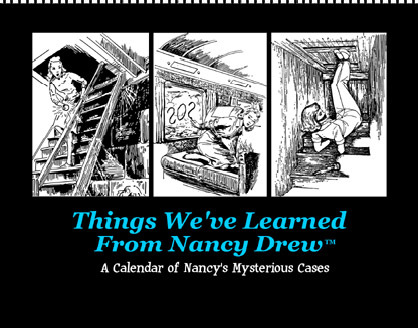 Nancy Drew Note Cards come in a set of 4 with white envelopes. Size: 5 1/2" wide x 4 1/4" tall. Blank inside. 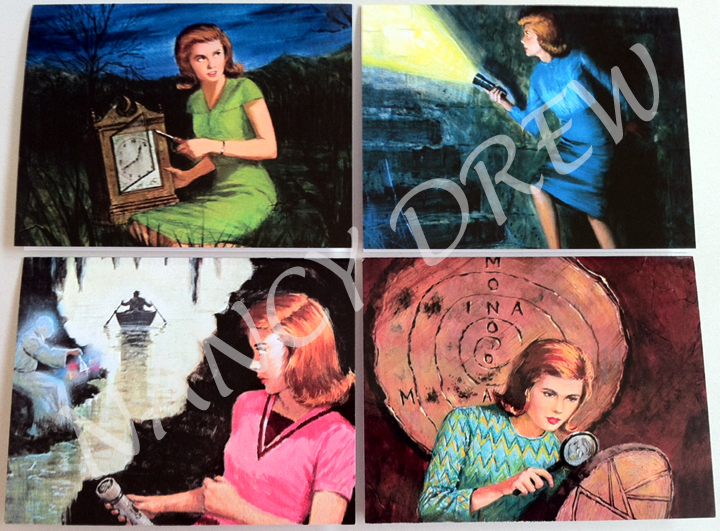 Printed in color--features 4 Rudy Nappi cover images of Nancy Drew from The Secret of the Old Clock, The Hidden Staircase, The Mystery of the Tolling Bell, and The Clue in the Crossword Cipher. 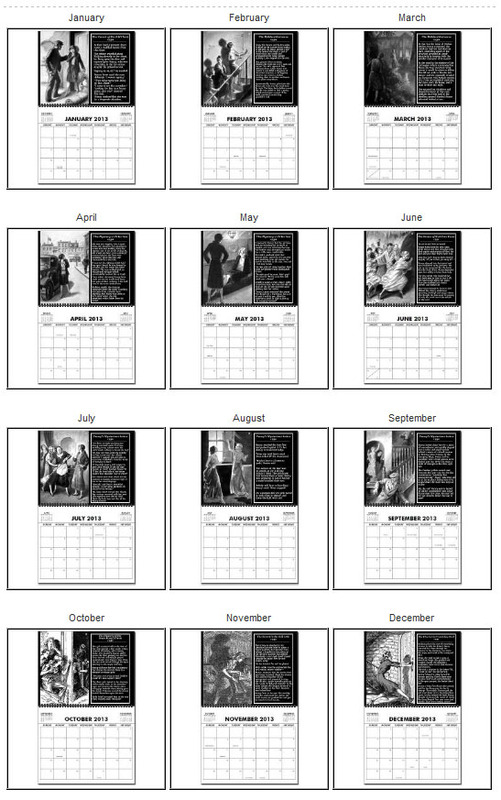 "Nancy Drew" watermark on the photo is not on the actual cards! 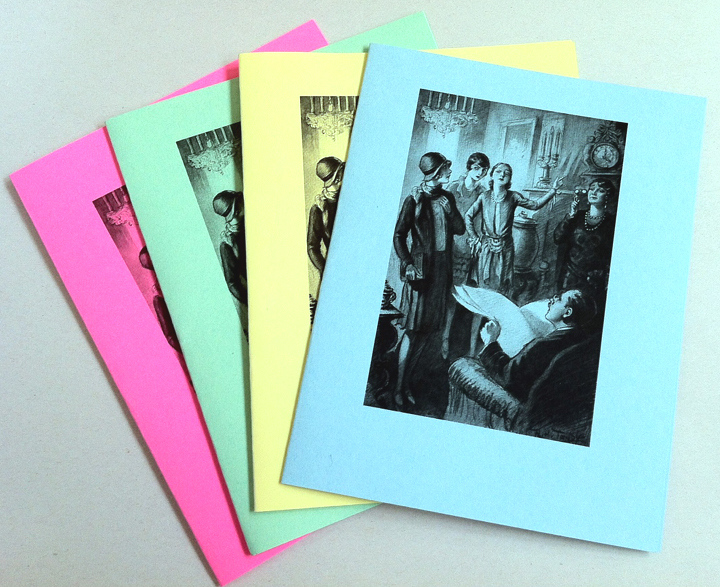 Nancy Drew Note Cards come in a set of 4 with white envelopes. Size: 4 1/4" wide x 5" tall. 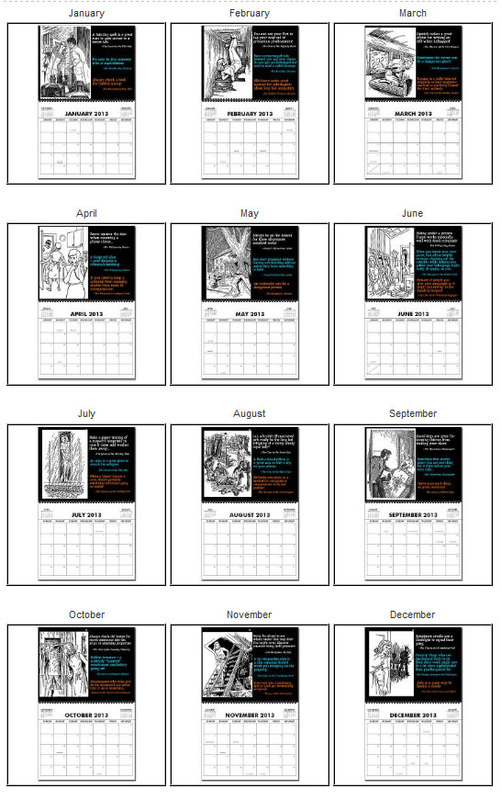 Blank inside. Same design in 4 different colors - yellow, green, blue, and pink. 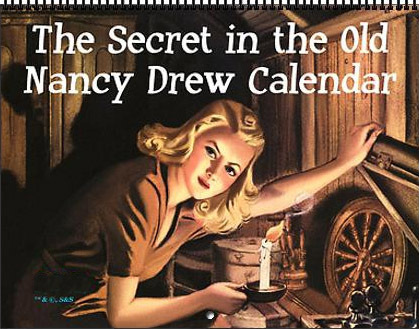 Cover of the cards features an internal illustration from the Nancy Drew book, The Secret of the Old Clock - Russell H. Tandy illustration. 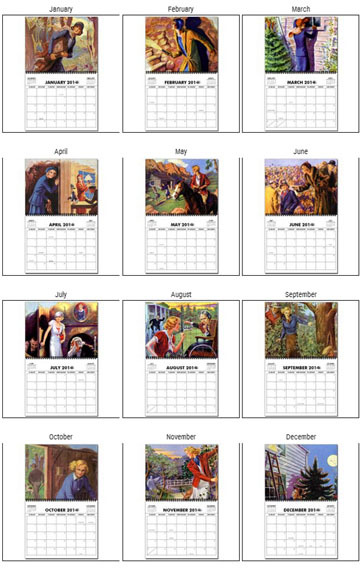 Nancy Drew Note Cards come in a set of 4 with white envelopes. Size: 4 1/4" wide x 5" tall. Blank inside. Same design in 4 different colors - yellow, green, blue, and pink. 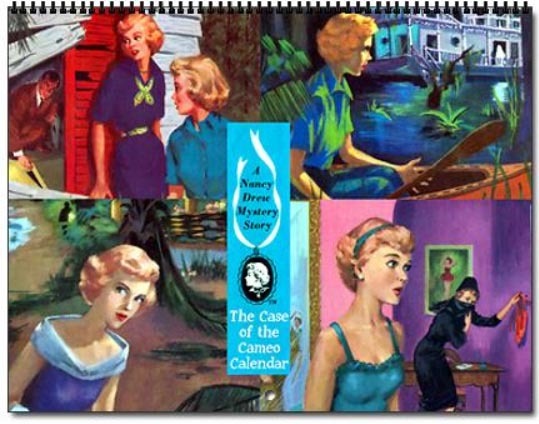 Cover of the cards features an internal illustration from the Nancy Drew book, The Bungalow Mystery. 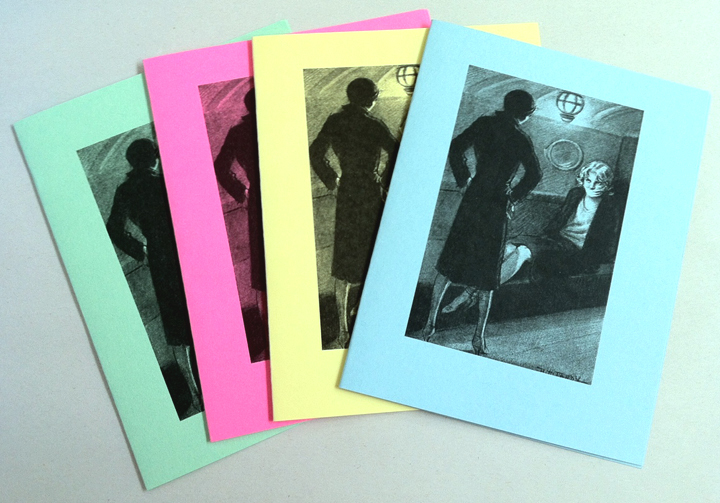 Nancy Drew Note Cards come in a set of 4 with white envelopes. Size: 4 1/4" wide x 5" tall. Blank inside. 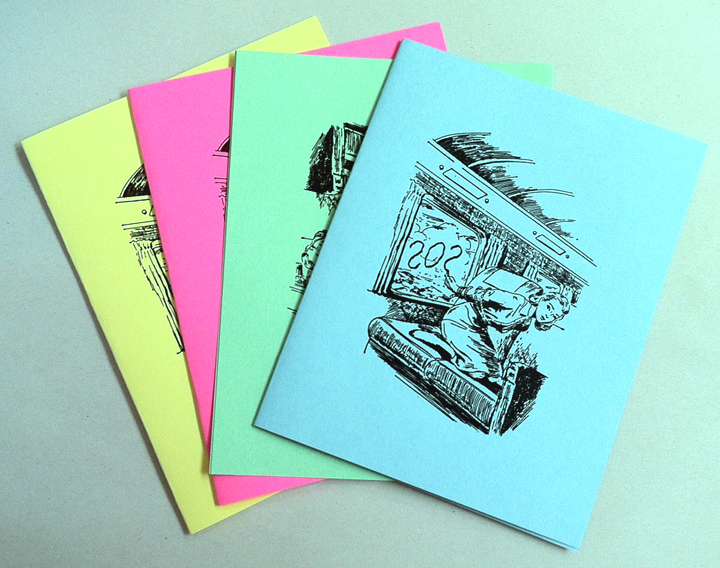 Same design in 4 different colors - yellow, green, blue, and pink. 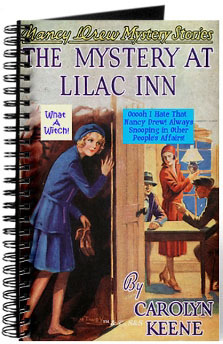 Cover of the cards features an internal illustration from the Nancy Drew book, The Mystery at Lilac Inn - Russell H. Tandy illustration. 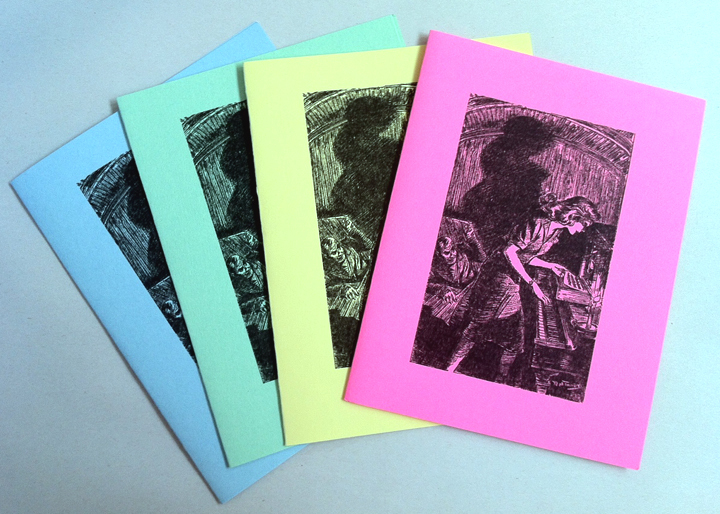 Nancy Drew Note Cards come in a set of 4 with white envelopes. Size: 4 1/4" wide x 5" tall. Blank inside. 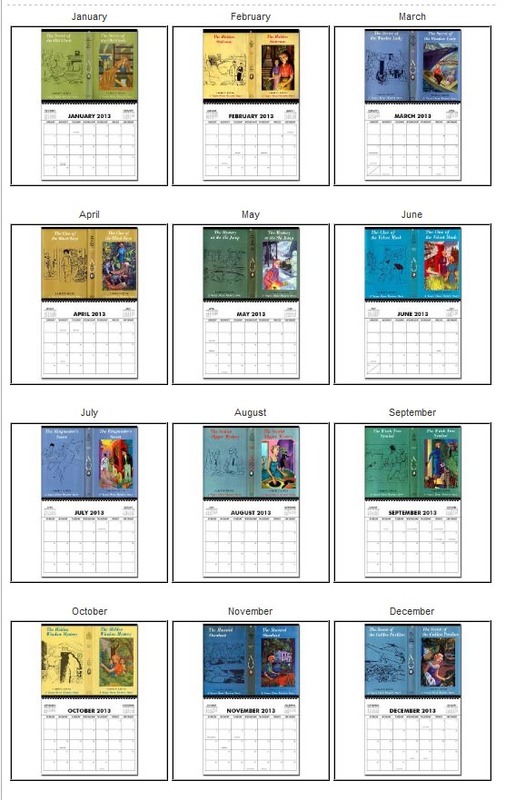 Same design in 4 different colors - yellow, green, blue, and pink. 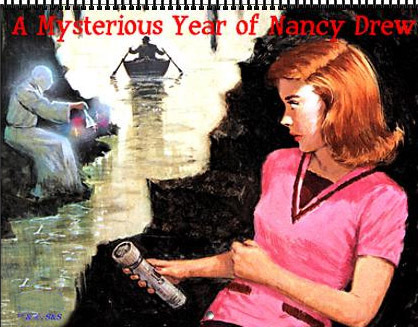 Cover of the cards features an internal illustration from the Nancy Drew book, The Secret of Red Gate Farm - Russell H. Tandy illustration. 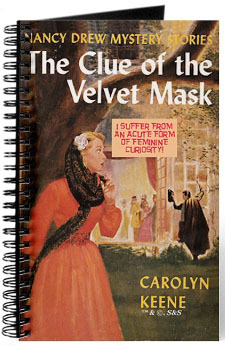 Nancy Drew Note Cards come in a set of 4 with white envelopes. Size: 4 1/4" wide x 5" tall. Blank inside. 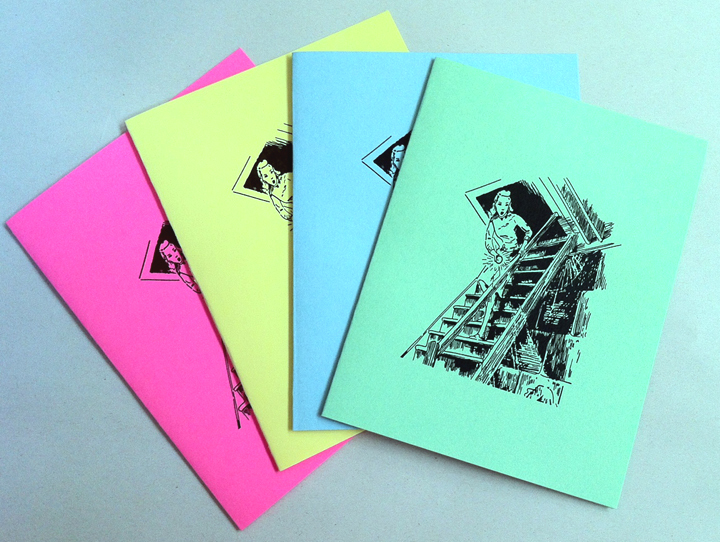 Same design in 4 different colors - yellow, green, blue, and pink. 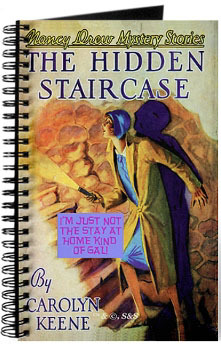 Cover of the cards features an internal illustration from the Nancy Drew book, The Whispering Statue. 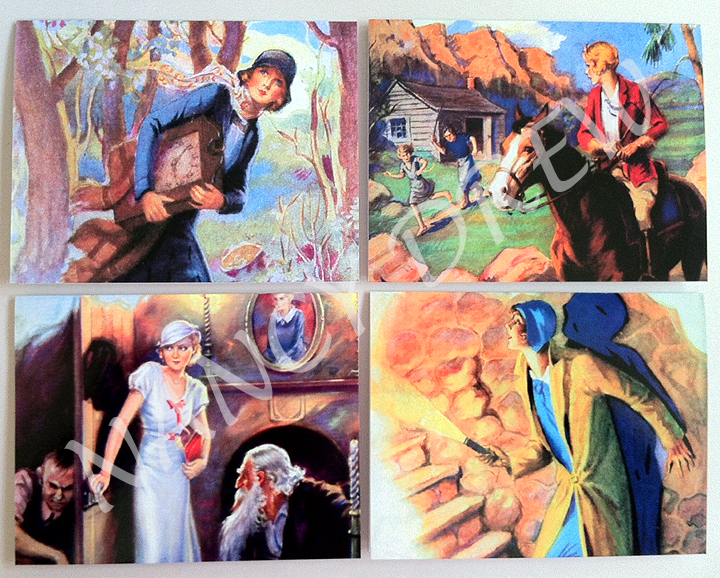 Nancy Drew Note Cards come in a set of 4 with white envelopes. Size: 4 1/4" wide x 5" tall. Blank inside. Same design in 4 different colors - yellow, green, blue, and pink. 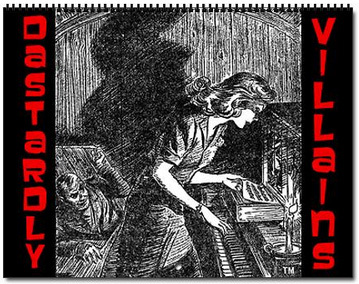 Cover of the cards features an internal illustration from the Nancy Drew book, The Secret in the Old Attic - Russell H. Tandy illustration. 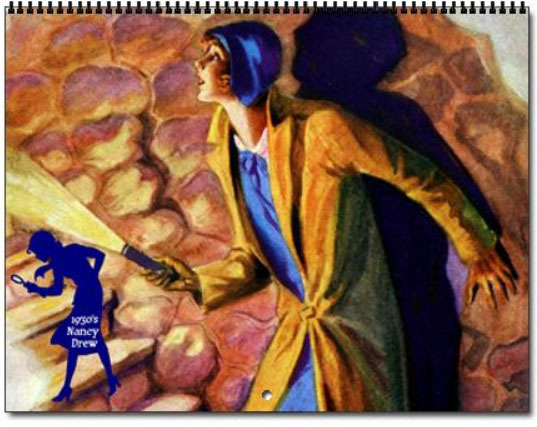 Nancy Drew Note Cards come in a set of 4 with white envelopes. Size: 4 1/4" wide x 5" tall. Blank inside. 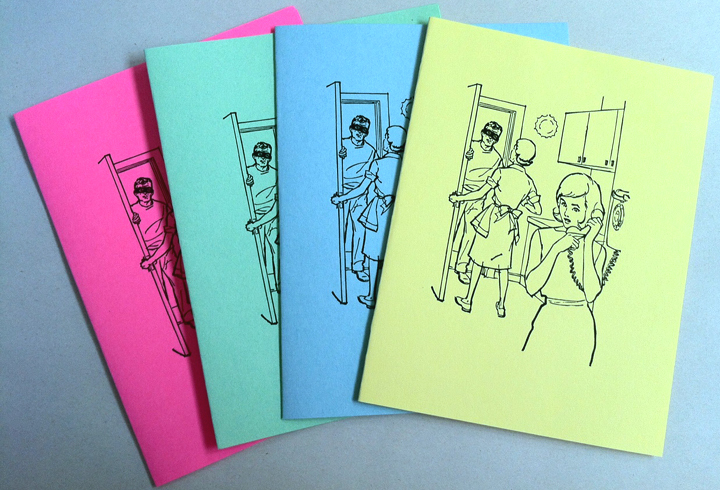 Same design in 4 different colors - yellow, green, blue, and pink. 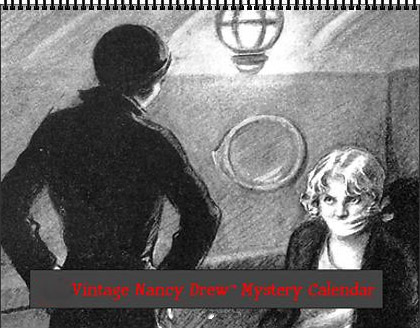 Cover of the cards features an internal illustration from the Nancy Drew book, The Mystery of the Fire Dragon. 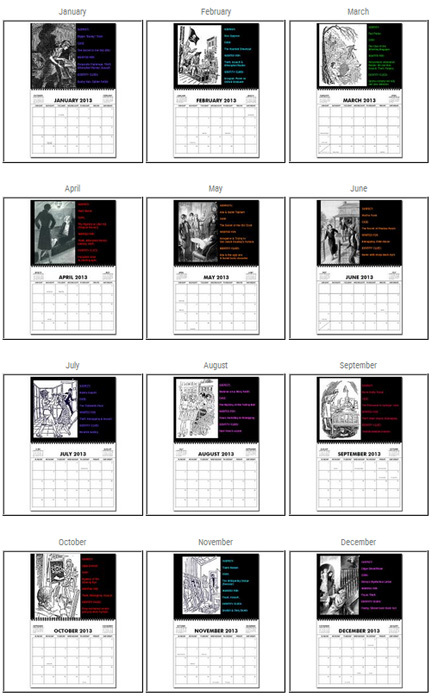 Copyright 2001-2016 by Jennifer Fisher. All Rights Reserved. 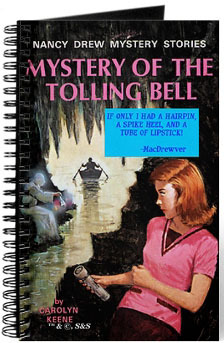 Nancy Drew® and the Hardy Boys® are registered trademarks of Simon & Schuster, Inc. All rights reserved. 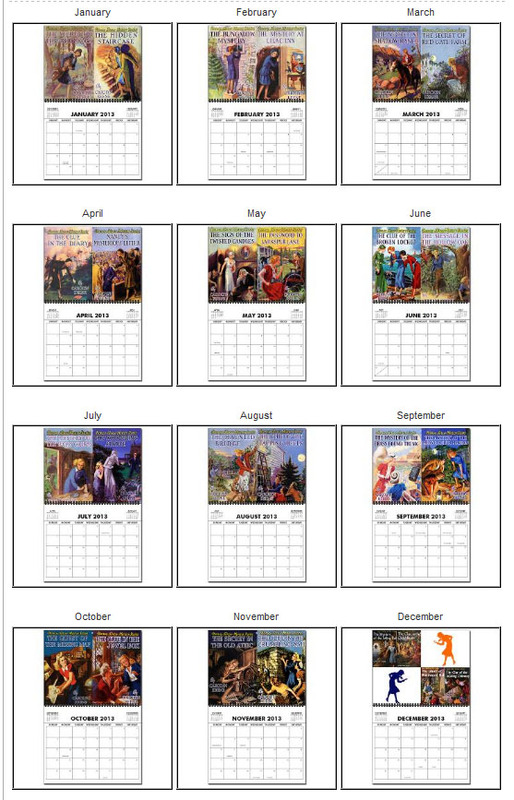 This site is neither affiliated with nor endorsed by Simon & Schuster, Inc. Any of Simon & Schuster's Copyright material appearing on this site complies with fair or acceptable use principles established in U.S. and International copyright law for the purpose of review, study, criticism, or news reporting.